Since 2000, I have obtained more than $200 million in verdicts and settlements for my clients with more than 30 awards exceeding $1 million each. Perhaps most notably, I have obtained four jury verdicts in excess of $1 million each in cases in which the defendants offered absolutely nothing whatsoever to settle before trial. I also have obtained the largest wrongful death verdict in California history: $106 million. After graduating from Yale Law School in 1993, I spent a year clerking for the Hon. Marilyn L. Huff of the U.S. District Court, Southern District of California. I then spent close to four years as a litigator at Latham and Watkins’ Los Angeles Office. In 1997, I accepted a position as an assistant U.S. attorney in the Southern District of California, where I tried human trafficking, narcotics and corruption cases on behalf of the United States. 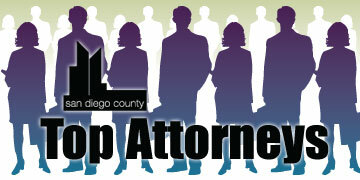 I returned to private practice in 2000 and have since represented exclusively plaintiffs in civil litigation. In September 2005, I founded the Gomez Law Firm, where I represent ordinary people and businesses in high-stakes litigation. 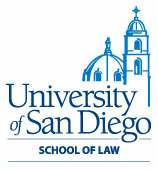 I am the president-elect of Consumer Attorneys of San Diego and serve on the Board of the Chicano Federation. I am the immediate past chairman of the board of La Cuna, a nonprofit organization devoted to providing permanent, loving homes to Latino foster children. I speak, read and write Spanish fluently. In my free time, I enjoy spending time with my wife Lisa, son JD, twins Michael and Analise, and dog Emma.